Hub Arkush brings you this weeks latest news, scoops and rumors from around the NFL. 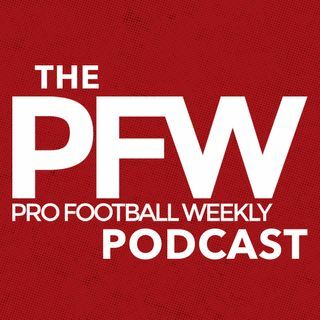 This week it's talk of offseason injuries around the league, Alshon Jeffery continuing to be a no-show at OTAs, and the Las Vegas Raiders! Nate Atkins joins in alongside Hub, as we begin in Dallas as Dallas Cowboys third-rounder Maliek Collins breaks his right foot. In Chicago, Alshon Jeffery shows up in town to sing "Take Me Out to the Ballgame" at Wrigley Field and throws out the first pitch, ... See More however he is still a no-show at the Chicago Bears voluntary OTA practices. We wrap things up with more Las Vegas talk as the push for the Oakland Raiders move to sin city continues.